YEP – POWER PACK 63 IS HERE! The download includes all four games, the demo and this great artwork by Dr. Bongo. Click to get it (zip file). Purists: find out how to transfer it to a tape to use on your real C64 here! THREE GAMES YOU’VE NEVER SEEN BEFORE. A DEMO OF A BRAND SPANKING NEW GAME. 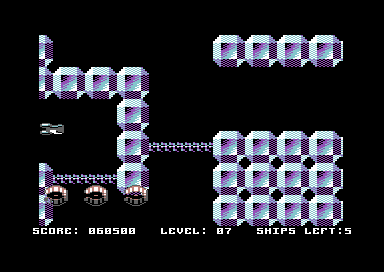 AND ONE OF THE BEST C64 GAMES RELEASED THIS CENTURY! Don’t care about the rest of the blurb? Download your new tape here, or carry on for the full line-up and instructions! In July, we released the very first Commodore Format Power Pack in 19 years. Its popularity knocked us out. It was discussed on forums and Reddit. It appeared in people’s Flipboards. Old staff from the magazine downloaded it to see what the fuss was about. And you guys sent in even more games…so it seemed daft not to do another. This time around we were looking for real variety. There’s a range of different games on Power Pack 63. From our exclusive shooter to our atmospheric text adventure appearing in English for the first time, we hope there’s something for you. Click any of the titles to get instructions, and see the full list at the bottom of the page. There’s also a readme.doc file in the download. And if you’re unsure how to play these games on your PC or Mac, check this out. X-FORCE is an exclusive shoot ’em up from The New Dimension. It’s never been seen before! 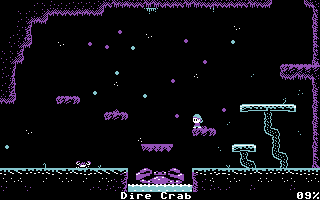 You play a futuristic mineral miner desperately trying to escape the planet Darx and get back home to earth. The action is frantic, the soundtrack is immense and it’s big enough to keep you going for ages. It’s worth saying again – this is the first time this game has ever been released and it’s top quality. Happy pew-pew-pewing and remember to read the full instructions so you know what all the power ups do! 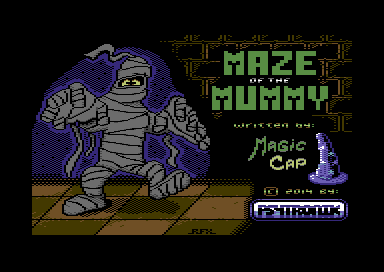 MAZE OF THE MUMMY, meanwhile, is fifteen levels from Psytronik software’s upcoming arcade puzzler. You have to escape each pyramid one move at a time…problem being, the mummy that’s chasing you has two moves! It’s infuriating but you can’t stop going back to it. We really look forward to seeing the full game soon. But for now, enjoy the puzzles and the neat animation in our cut down but totally playable preview. 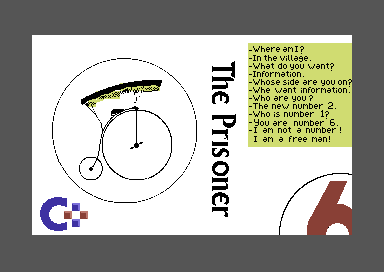 Then there’s one of our favourites, THE PRISONER. It’s an unofficial text adventure based on the famous 1960s television show. 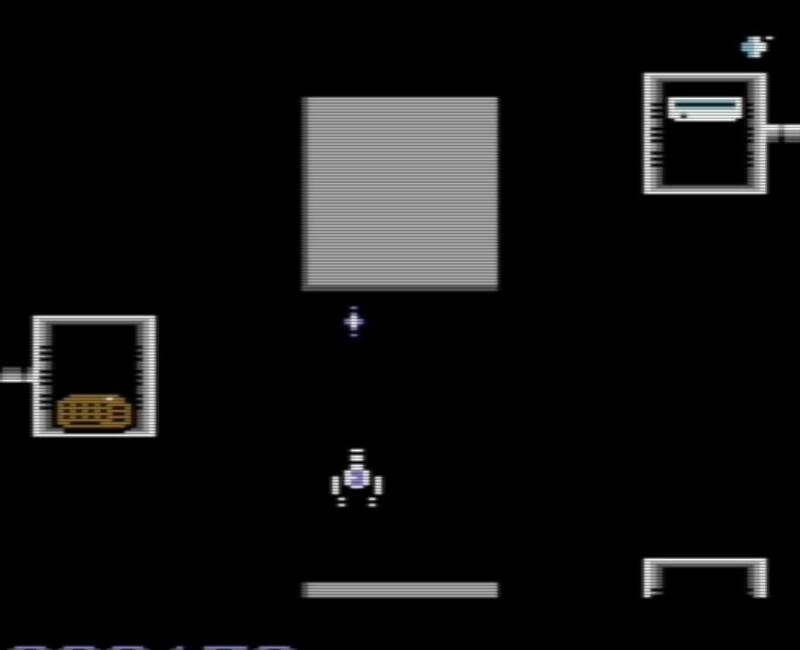 Commodore Plus have translated the game into English for us – it’s being seen here for the very first time. The game’s creators have a real passion for the show and have created a brand new, atmospheric story to play through. It all starts when you resign from your job at the secret service. Enjoy it. YOU HAVE TO WIN THE GAME is just an utterly, utterly brilliant platform adventure. It might look a bit old school at first…but it’s meant to. It’s a conversion of the retro themed game for Steam on the PC and it has to be one of the most impressive games for the Commodore 64 we have seen in a very long time. You’ll need to read the instructions for this one and you’ll definitely need to make a map. Prepare to lose hours! Finally, CF reader Rob PieVsPie Southworth has coded one of the most imaginative (and CF themed!) SEUCK games we’ve seen in a long time. Prepare to confront the demons in your life in THE DARK WITHIN. Battle through your childhood, your career, confront your vices and, er, remember to collect the Commodore Format Power Pack tapes for points. No, really. This is a brilliant shooter. Get it loaded up! CREDITS: Mastering and loader by Richard Bayliss. Cover by Dr. Bongo. Thanks to all the authors! This is a free download for a bit of fun. We’re not connected with Future plc.